Brush your teeth and go to bed. Children’s songs of folklore try to instill regular habits. Giving thanks before meals. The avoidance of blinding a friend in game. Within fifty variations among a dozen generations, this camp song has reenforced, “Brush yer teeth.” The cost of underbrushing. Perils of over-brushing. Good habits as kids carry over to good habits as adults. Same for product. Within the dental products aisle of our local market stretch options so vast one may forget that for which they came, blinded by the glamour of choice. Artisanal, homeopathic, organic, PETA-approved … some linger in this aisle, confused, dreamy, excited, like a cat in a strange garret. Sexual delights anticipated, amplified by their newly pearlescent teeth and licorice anisette breath. Blind to marketing gimmicks, they buy the sizzle, brushing with false hope. “Grandma’s Special Recipe” toothpaste at three times the price but without the drop of turpentine she concealed as her secret ingredient. Back to basic. Back to trust every time for me. Crest as a kid, Crest now. The name ‘Crest‘ means “Research. Development. Testing. Quality.” Not a garage concoction tubed, boxed, and sold out of a station wagon by Felix and his cousin, but a real product developed by professionals, extensively tested, with impeccable quality control. 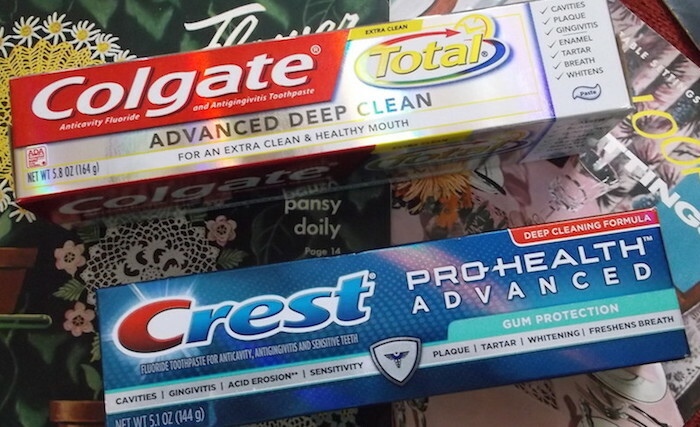 Sometimes I’ll buy Colgate. Same trust. Do I lean towards one? Sure, but either is fine. 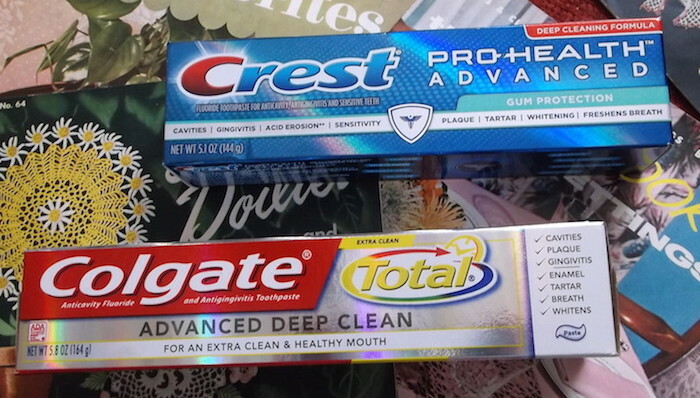 In all my decades as a shopper, I’ve only bought a different paste once. It’s still in its box in the cellar, half full, the properties unneeded. Most domestic consumption Crest is made in Greensboro, North Carolina. My last tube of Colgate was made in Morristown Tennessee. 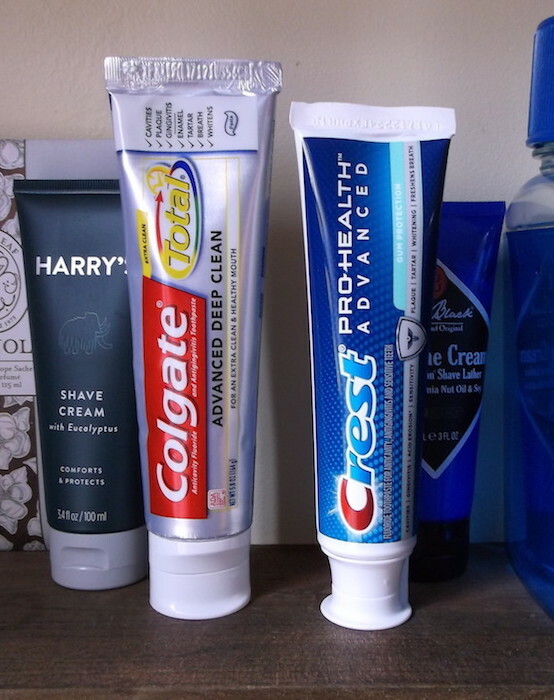 Occasionally you’ll get a tube of Crest manufactured in Nuacalpan, Mexico, differentiated by a foil seal beneath the cap. Colgate also has manufacturing in Mexico. Both manufacturers sell primarily domestic production within the ‘States. This entry was posted in Product Review and tagged Bang bang you're dead Brush your teeth and go to bed, dental products, Don't forget to floss.